Jimdo is a drag-and-drop website builder offering website templates and tools that can easily be customized without any coding knowledge necessary. It features a drag-and-drop builder, data storage, SEO booster, widgets, third-party integrations, and more. In this article, we cover Jimdo reviews and pricing. Ready to get started? Sign up for free. Users who gave Jimdo a positive review like that the platform is easy to use with its drag-and-drop functionality, ready-made templates, fast file uploads, high customizability, third-party app integrations, and more. Others also mentioned that its pricing is affordable. Users who gave Jimdo a negative review commented that although it has good-looking, pre-built templates, it would be better if more was added. It is notable, however, that most users are satisfied with the software in general. 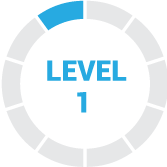 Jimdo pricing includes a free subscription option and four paid plans, billed annually. The paid options cost $9/month for the Start plan, $15/month for the Grow plan, $19/month for the Ecommerce plan, and $39/month for the Unlimited plan. The main differences between the plans include the number of website pages, allocated storage, bandwidth, and more. 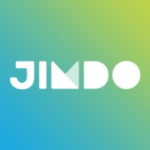 Ready to get started with Jimdo? Sign up for free. 6 Best Website Builders 2019: Reviews & Pricing Guide – A website builder makes it easy to design and host a website to sell products, connect with your customers, and analyze web traffic—no coding knowledge required. In this guide, we compare the best website builder options for small businesses in terms of ease of use, pricing, and purpose to help you decide which one fits your business needs. Can users connect their existing domains with Jimdo? Yes. Except for the free plan (which would have a .jimdosite.com subdomain), all paid plans allow users to transfer their existing domain to Jimdo or keep it in the domain registrar where they bought it and connect it to their Jimdo website. Since premium plans are paid in full for a year, can users get a refund if they decide to cancel in the middle of their subscription period? Only users who cancel within the first 14 days after subscribing can get a refund. 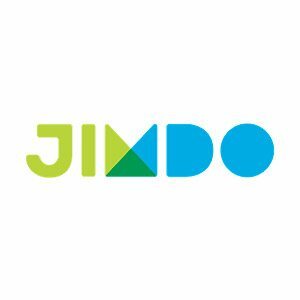 Have you read these Jimdo reviews and are still not sure if it’s the right fit for you? Read our reviews of all top website builders. Perfect that my work on the web becomes more easy and clear. Powerful tools which give me a good desire to work more. Always can take more experience at my work. I really cannot complain about that program. As I like all work which I can make it with. The program is really nice to use. I like that it is very understandable for all. For sure your work will be done in a short period. Very easy to use. We can invite more clients. Very good managing system which helps us to see everything. I love this because of how easy it is to use and the templates in good taste. So easy to edit and move things or change sizes. Also, I love that free websites have SEO tools. I would like it to improve, add more template designs, because there are very few, it may be the case that there are very similar web pages, but if you want to create larger projects with more complexity, I do not recommend it, since it is a simple platform. That the annual costs are reasonable compared to other services. I had been a GoDaddy user for a couple of years before, and I hated its high hidden costs and its cumbersome editor, for this reason I would have liked to know it before. With this software, I have more open resources to use. Very simple to work on drag and drop our photos to our site. I like that all of the processing load fast and with the higher quality. The better and faster I can choose my own images, colors, types, backgrounds, and much more. I like that I can manage everything exactly how I want our site to look. The software works quick and right so I don’t have any bad problems which can bring a lot of mistakes. Actually, I like this program and all working process. Very simple quick and easy to use. 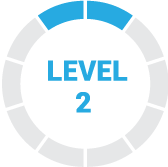 It has one of the highest quality services in the market, the PRO version is not so expensive and has managed to fit our budget, its characteristics and its economic price. Jimdo likes everything and we have no complaints but what we would like is that they could give us the possibility of being able to have more templates, there are very few. We are totally satisfied with Jimdo, we would have liked to know that the paid version was much better and not expensive, only that way we would have acquired it more quickly and enjoy more of its good services. Jimdo is a great host of websites, his menu is very easy to start using. All the tools on the site are fast and accessible. Allows the integration of other applications. I would really love it if I had more sources such as Microsoft Word. They should add more template designs. Jimdo has given me the opportunity to run my company in an easy and reliable way, I have many tools to configure and customize my website, besides its annual costs are very reasonable.